Image segmentation is widely used in Biology. 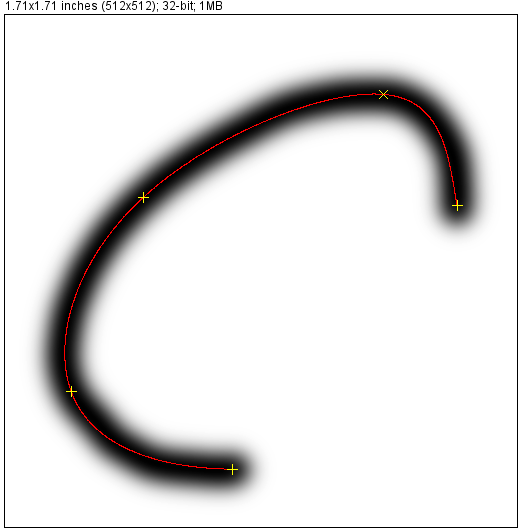 Active contours (commonly called snakes) are efficient tools in this domain, and work well if they are close. Nevertheless, open snakes are more adapted for particular shapes, as fly legs, but often make loops or have undesired behaviors. The goal of this project was to design efficient methods to avoid these behaviors, as new snake energies or new conditions. It can be improved by first computing the distance transform of the input image. This method is efficient in most cases, but still allows loops in particular case. One can then develop a condition to avoid loops, which gives good results. Finally, for sequences of images, we used a 'movement' energy which tends to keep a good parameterization of the snake.